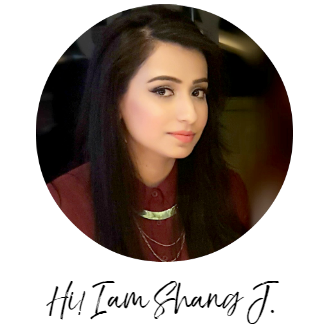 Three benefits in one product: the colour of a lipstick, the durability of a lip stain and the shine of a lip-gloss. 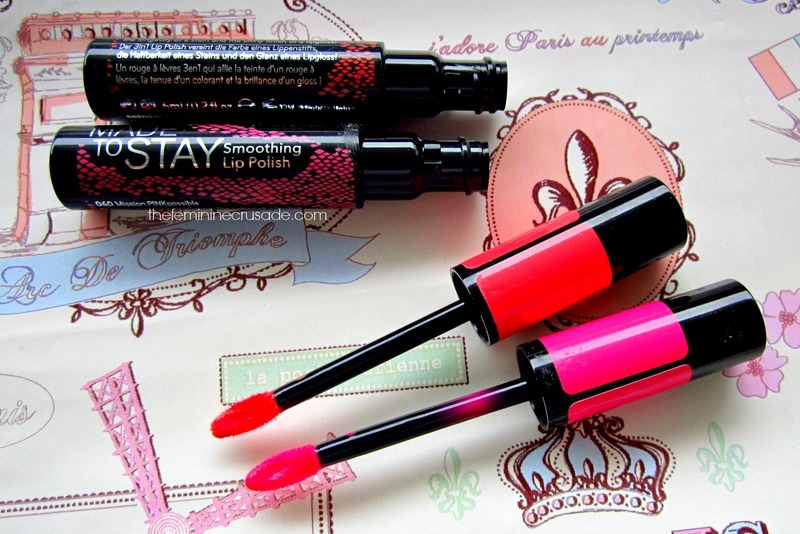 This Limited Edition presents an innovative premium product with the Made To Stay Smoothing Lip Polish. The extra-soft flock applicator ensures an accurate application. 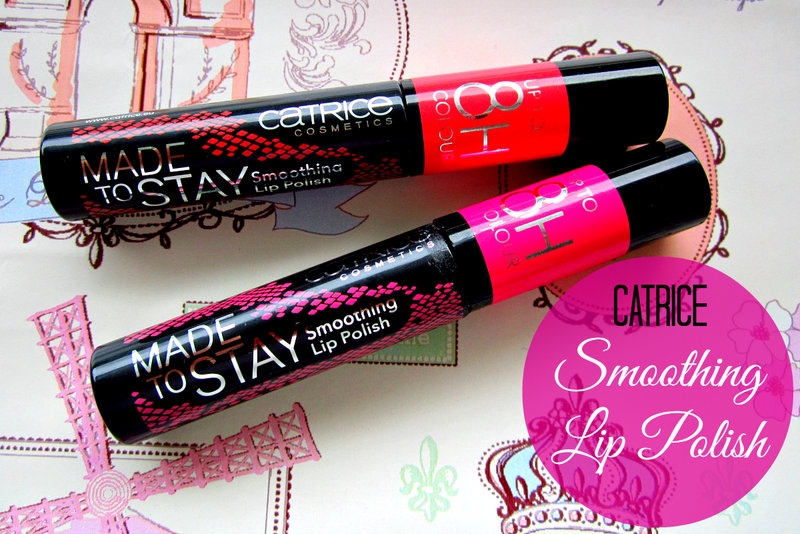 Catrice Smoothing Lip Polishes are available in 6 very pretty shades each containing 6ml of product. Without any intention of buying anything, I stumbled upon these beauties a few weeks back. The name Smoothing Lip Polish tempted me enough to pick them up and swatch on the back of my hand; and from that moment I was sold. Their silky smooth pigmented texture and glossy finish coerced me to pick two dandy colours. 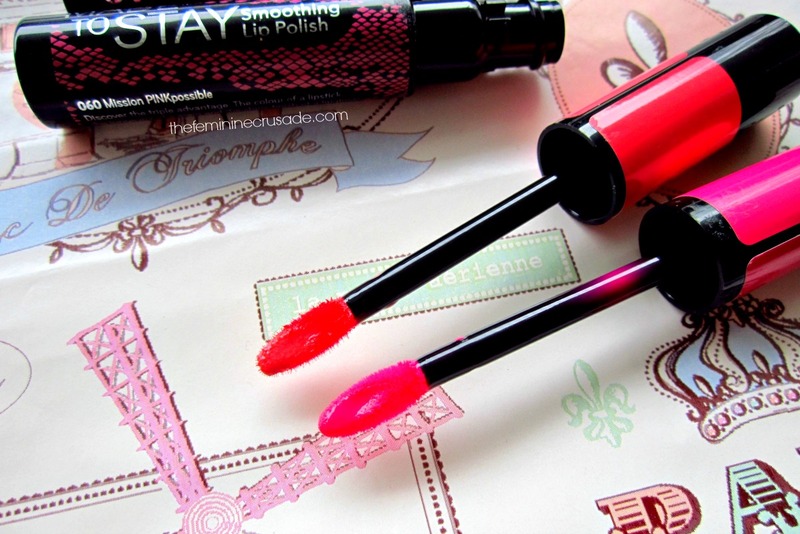 Strawberry's Secret is a lovely coral shade, very spring-ish, quite pigmented and very flattering. Mission PINKpossible is a super-duper bright and loud hot pink. A very attention-seeking shade and I am a sucker for bold lips. Also this second shade leaves a pale pink stain when it fades throughout the day. 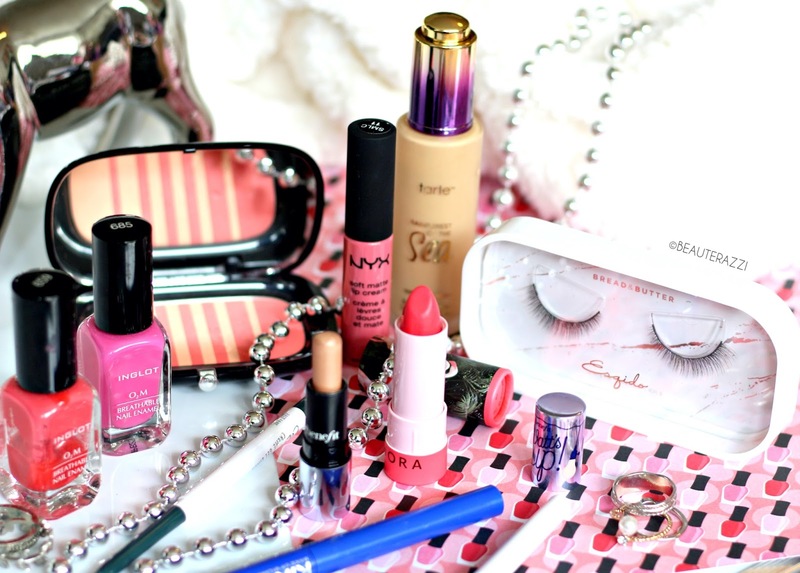 Good, that it makes the lip polish more long-lasting; bad, that it is really hard to remove by the end of the day. 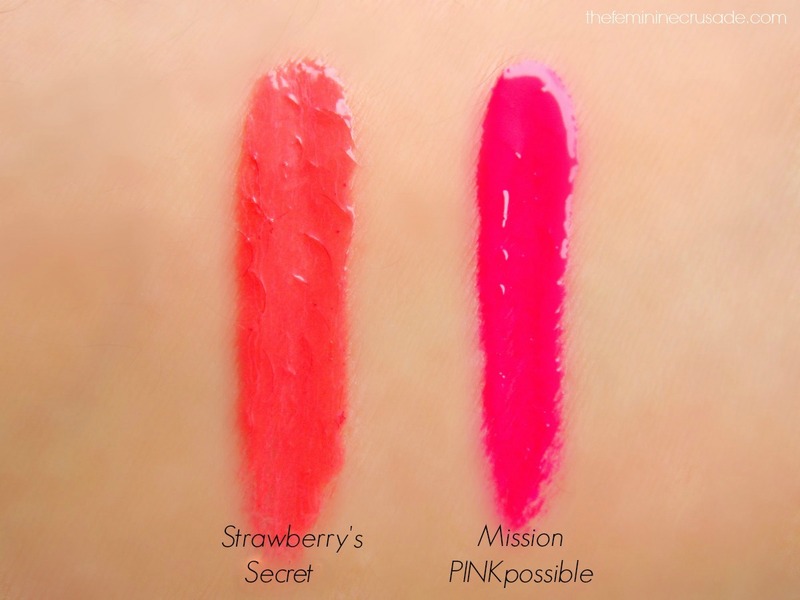 Strawberry's Secret lasts for 2-3 hours on my lips and Mission PINKpossible stays for around 5 hours. Both have a very comfortable, weightless feel and look amazing when worn. Just for 5 euros, these lip polishes are beyond awesome. I LOVE the shades I have bought. Stawberry's Secret is my go-to lip product nowadays. And I know I won't be able to let go of both these in the upcoming Spring/Summer. Jeez I am loving these beauties!